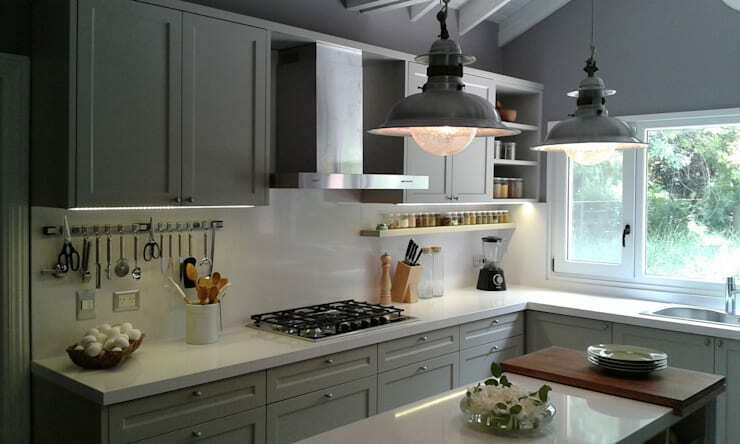 Today at homify we are going to help you choose a theme for your small and compact kitchen. Why is choosing a kitchen décor theme important? 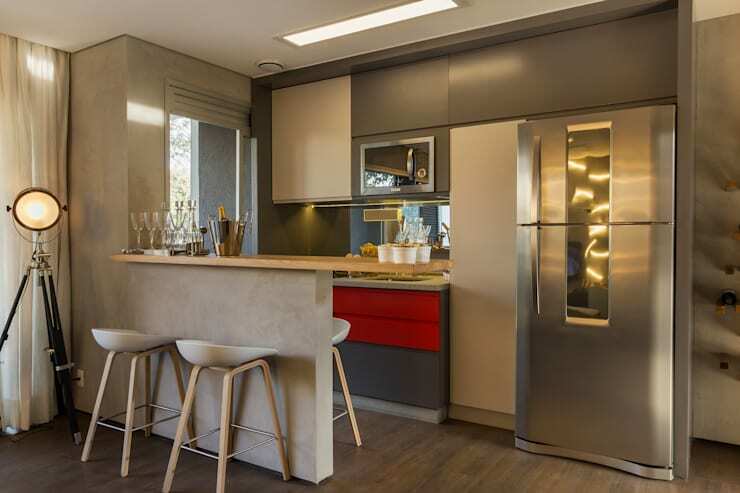 Your cooking space’s theme and scheme is a highly personal decision that needs to take into account many different factors including your hobbies, interests and personality. Because, after all, there is no point installing a rustic cottage-style kitchen if you fancy minimalism and sleek architectural design! To get you started, and on the path to kitchen bliss, we’ve collated 10 décor themes that are sure to get your creative juices flowing. From simple and chic, to wild and eye-catching, we have a kitchen design for you. Read on below and start renovating today! Marble is timeless, opulent and magnificent! 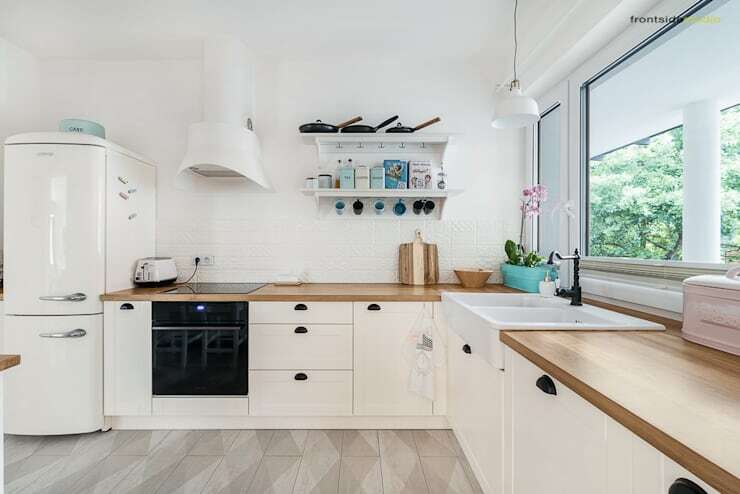 This kitchen theme makes the most of these qualities by employing the material as a wall splashback, as well as a compact yet spacious feeling worktop. Simplicity is the key to an organised and enjoyable space. However, just because your kitchen is simple, doesn't mean it can't also be beautiful and unique. 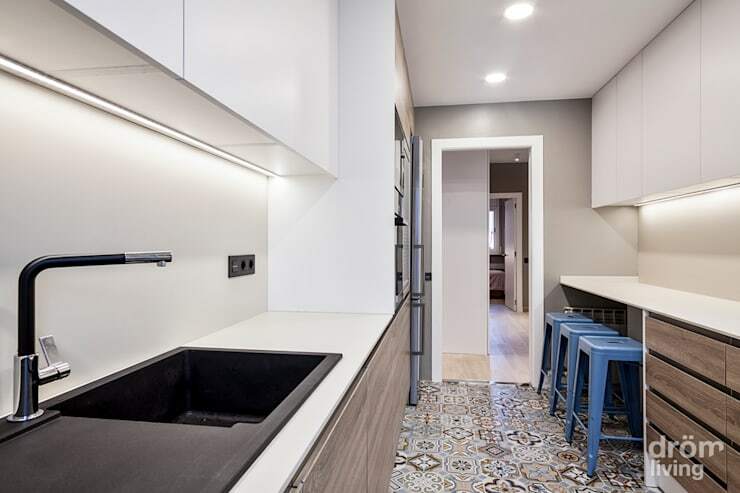 Here in this cooking area we see minimalist joinery paired with engaging floor tiles that look effortlessly chic and eye-catching. 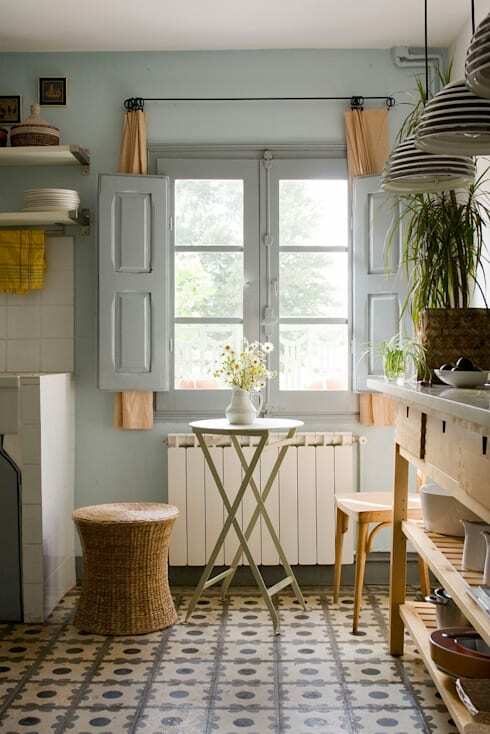 This small kitchen is utterly marvellous, and a tribute to rustic Mediterranean design. If you can't visit Spain, why not bring it to you? 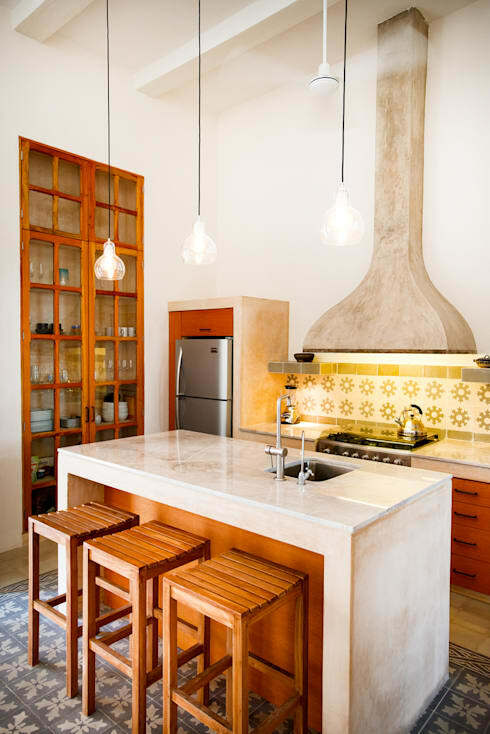 This cooking area boasts a statement exhaust fan, stone worktops, and a warm amber timber that bursts with an inviting aesthetic. The classics are classics for a reason. Timeless, age-defiant and oozing respectability, a traditional kitchen design is perfect for your compact kitchen as it will mature gracefully. Choose a modern colour such as grey to pair with your joinery, imparting a contemporary nature juxtaposed with heritage vibes. Scandinavian style is timeless and chic, providing an interior a feeling of luxury, without an over-the-top ambience. This kitchen is playful and exciting, offering a family-friendly space that doesn't scrimp on style! Small kitchens certainly don't have to lose out in the design stakes, and this example is proof of that! 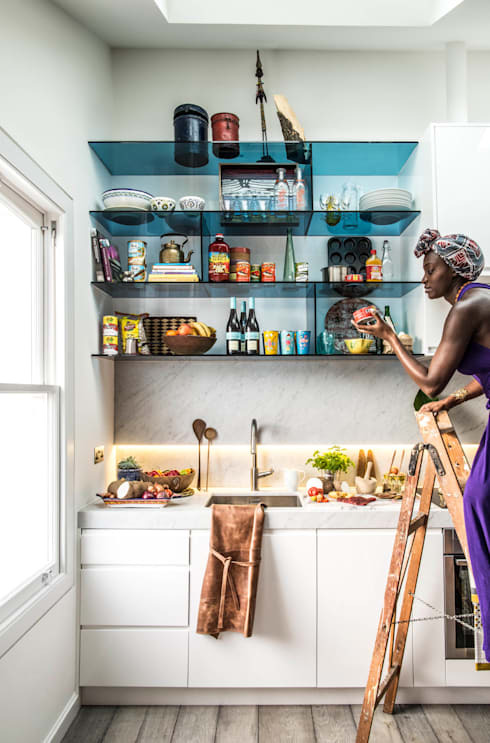 Extremely compact, but bursting with personality, this cooking space utilises transparent blue glazed shelves to create a sense of spaciousness within the minuscule room. Minimalist kitchens have the ability to provide an organised and clean aesthetic, while also offering everything that is needed to cook up a storm. 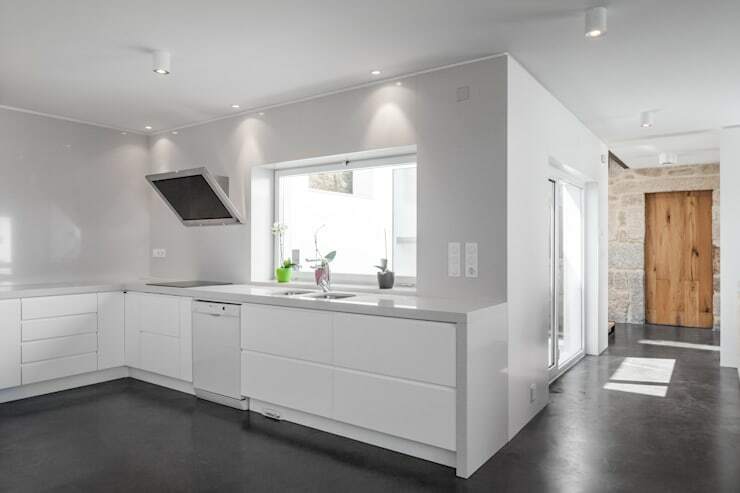 Here the design is all-white, and paired with the latest in technology, creating a usable and practical kitchen. 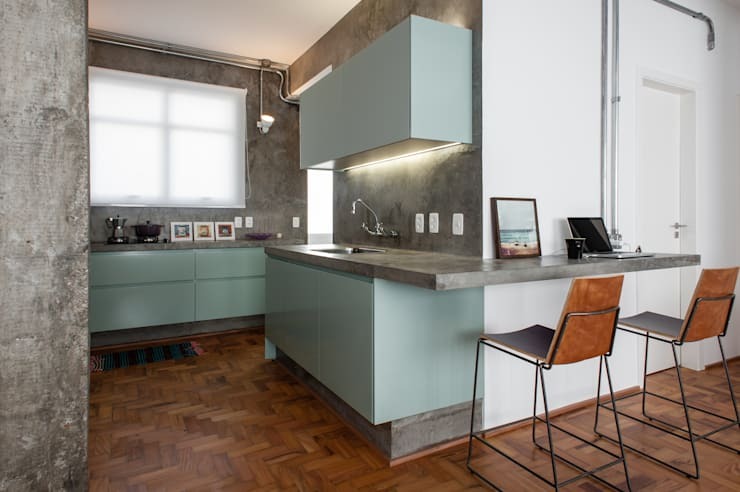 Here designers have opted for a gorgeous retro theme paired with a neat industrial vibe. This works particularly well in a compact room, as it is utilitarian, doesn't squander its room, and offers a characterful practicality. Modern kitchens come in all shapes and sizes, but we particularly love this neat design that would suit any compact cooking space or apartment. With stainless steel appliances and a bright red feature piece of joinery, this is an unforgetable and versatile area. Nothing beats the cosiness and charm of cottage-style interiors. 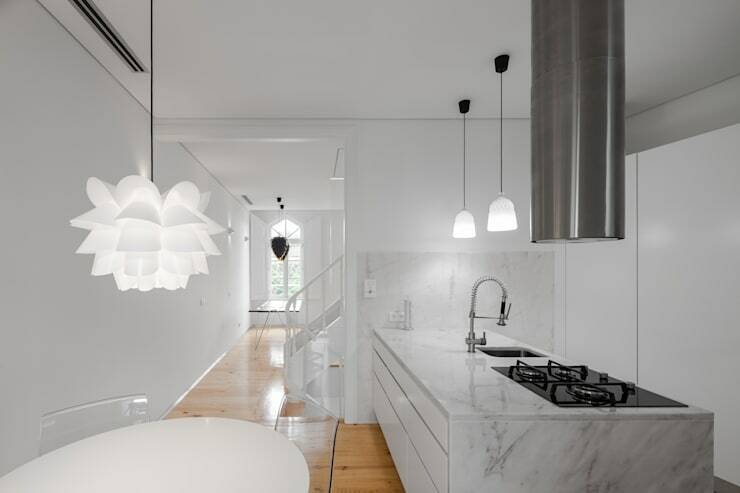 Check out this gorgeous kitchen that looks wonderfully charismatic, while also utilising its space seamlessly. Last, but certainly not least, we are checking out this wonderfully creative and cute kitchen that really thinks 'outside the box'. 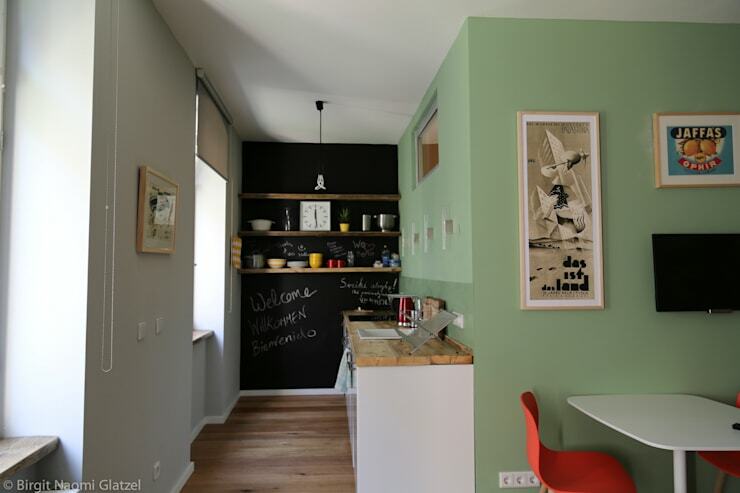 Consider a chalkboard feature wall for your cooking area, and create a room that is welcoming as well as engaging. Which theme would you choose for your small kitchen? Share your thoughts in the comments below!